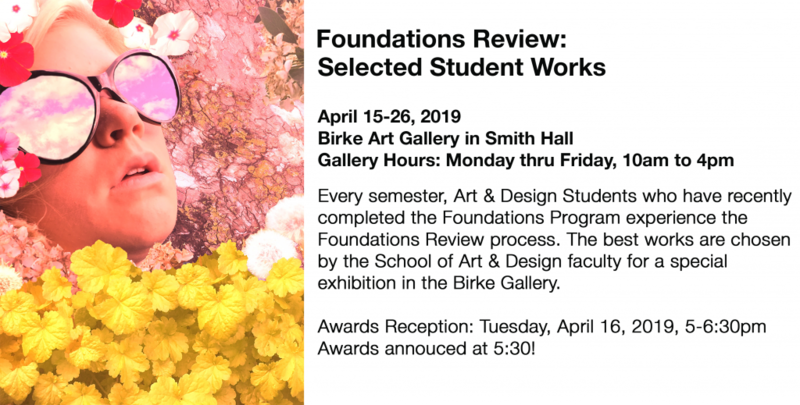 The Birke Art Gallery is Marshall University’s on-campus display of the School of Art &Design’s talented students, as well as professional exhibitions. It’s free and open to the public. 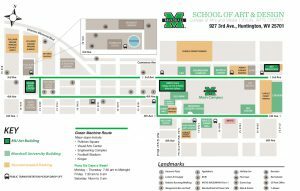 The space is beneficial to the community, but also to students, offering the developing artists the chance to interact with professional artists through viewing their work, and hearing the exhibiting artists present on their craft and concept. The gallery also serves as an exhibition space for the students. Each year, students show their work as part of the School of Art & Design Capstone Experience. 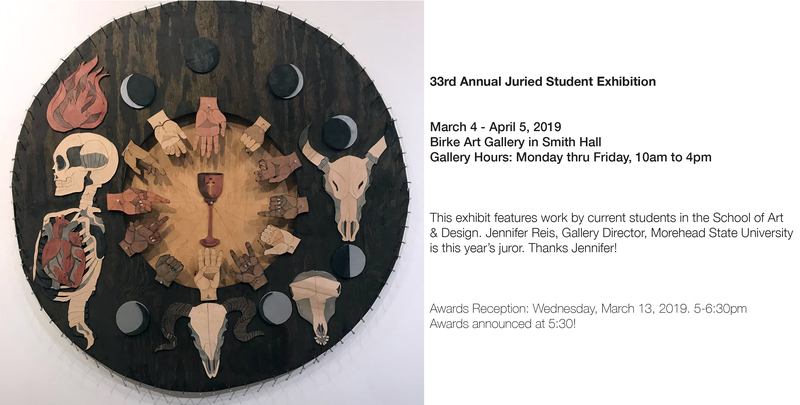 For undergraduates this is in the form of the Student Juried Exhibition and graduating seniors and graduate students present individual and group shows. 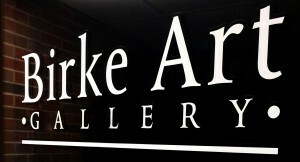 If you are interested in submitting a proposal for an exhibition at Birke Art Gallery, please use Exhibition Proposal. The gallery dimensions are available here.